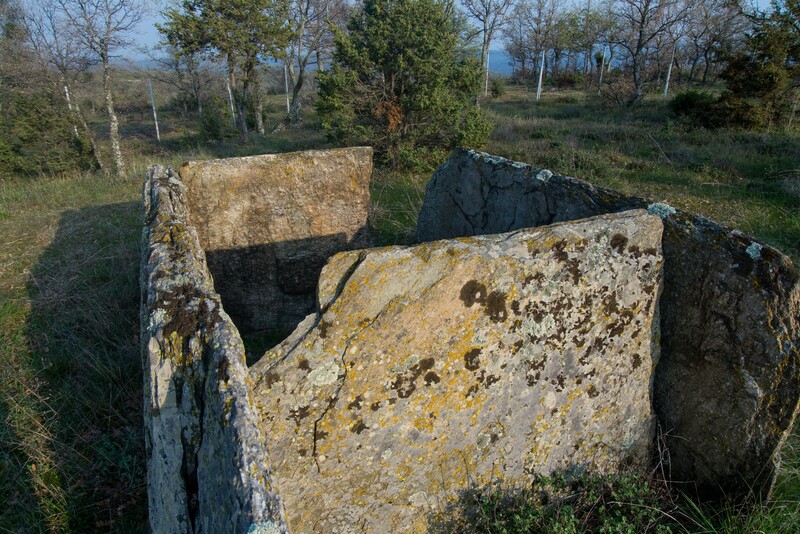 The Megalithic Tomb in Roussa is located on a hill outside the homonymous village, in the region of Pomaks of Evros. It dates back to the early Iron Age, around the 9th century BC. For someone to reach there the only thing he has to do is to follow the road that connects Mikro Derio with Roussa. The Megalithic Tomb in Roussa has an opening at its most narrow side. The four huge slate slabs that form the Megalithic Tomb in Roussa are still standing, while the fifth one, the one that covers, is broken into pieces. Tombs of this kind, such as the Megalithic Tomb of Roussa in Evros, are called dolmen, that is a term used for megalithic tombs, which usually consist of three or more upright stones that support a bigger one placed horizontally over them. In these tombs they used to place large jars that contained the ashes of the dead ones or the remains of the incineration along with the offerings.